Aoi, who has a fear of heights and likes staying indoors, reunited with her childhood friend Hinata in their first day at high school. 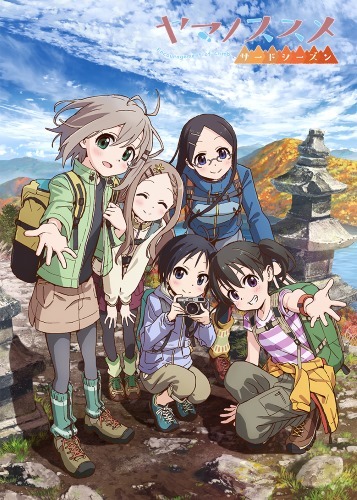 Hinata started dragging Aoi all around, getting her to participate in mountain climbing and other outdoor activities. In the process, Aoi came to realize how much fun climbing mountains could be. As the season changed from summer to fall, they met more mountain-climbing friends, and started thinking together about which mountain they’d climb next. Hinata grows more and more impressed with Aoi, who’s been more aggressive in trying outdoor activities and building up stamina for their next goal, reaching the summit of Mt. Fuji.